The early bird gets the… cupcake. If you’re catching an early flight Friday morning (January 28th) out of Newark Liberty International Airport, be sure to get yourself a free cupcake. A branch of CRUMBS Bake Shop has opened in Terminal C (by the C2 checkpoint) and, to celebrate, they’re going to give the first 1,000 people who stop by a free cupcake. The sugary celebration starts at 6 a.m.
You might bring that cupcake with you to the LAX Theme Building Observation Deck on Sunday morning, January 30th, where Los Angles International Airport officials will be hosting a Sunday Morning Coffee from 8:30 until 11 a.m. The Observation Deck is usually open to the public Saturdays and Sundays from 8 a.m. to 5 p.m and this Sunday planespotters and aviation buffs will be out in force to see some unusual airplanes that will be stopping by. Air New Zealand’s new Airbus A320 with All Black Livery will be making at stop at LAX on its way to New Zealand from France. The All Blacks are a rugby team sponsored by Air New Zealand and this fall the 2011 Rugby World Cup games will be held in New Zealand. Air New Zealand’s new Boeing B777-300 is also scheduled to operate at LAX on Sunday and Qantas Airways’ daily Airbus A380 super jumbo jet service between LAX and Sydney resumes this Sunday as well. The Observation Deck has a 360-degree view of LAX’s terminals and airfield, and there are complimentary telescopes installed up there for better viewing. On Sunday morning there will also be a portable scanner available so visitors can listen to the radio transmissions between the pilots and the air traffic controllers. 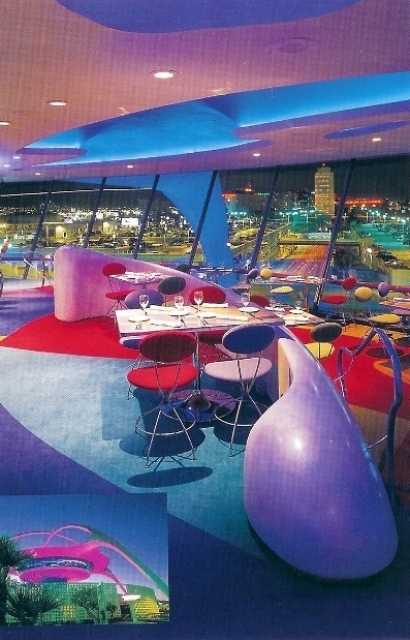 And after the Sunday Morning Coffee event the party can go on: the space-age, retro-themed Encounter Restaurant, right under the Observation Deck will be offering a Plane Spotters Lunch Special.